The winner of Day 10′s giveaway of the $250 gift certificate to Lady-Comp is Ashley L.! Congratulations! Enjoy picking out your computer! I am very excited for you! Today’s giveaway comes from one of my favorite companies for organic and raw superfoods, Navitas Naturals. For those who asked for more Canadian giveaways, you’ll be pleased to learn that while Navitas is headquartered in California, they do have presence in Canada. Thus, today’s giveaway is open to both USA + Canada! Navitas Naturals specializes in superior whole food superfood products. They are an industry leader, with high standards for certified organic, kosher, trans fat-free, and additive-free whole foods. “Navitas” is the Latin word for energy, and that is exactly what their foods provide. Navitas’ product line consists of 23 powerful superfoods and 41+ products utilizing those superfoods. What sets them apart from other brands is the care they take in handling and processing the superfoods while packaging. Navitas utilizes freeze-drying and low temperature processing to ensure that the antioxidants, vitamins, healthy fats, proteins, and nutrients are left intact in the foods you are buying. This is of HUGE importance to me personally when buying my whole food ingredients for my pantry. I want to make sure that my money is buying exactly what I intended. You can’t be so sure how other companies are processing their food. It’s important to me that Navitas doesn’t hide anything from us. If you looked in my pantry right now, you’d see my bags of Navitas products on each shelf. I use their superfoods on a daily basis — in smoothies, baked goods, raw recipes, and snacking. My favorites that I always have on hand are the raw cacao powder, maca powder, lucuma powder, and their acai powder. I usually buy mine right from my local natural foods store. You can access the Navitas brand pretty easily at most health food stores or co-ops sold in both USA and Canada (find a store near you). You can also order online. Navitas Naturals is giving away a special six superfoods superpack to one lucky USA or Canada winner! (That’s right, Canadian folks, thank you for waiting patiently! You are included so be sure to share with your family and friends!) You could win a pack each of Raw Cacao Powder, Goji Berries, Acai Powder, Maca Powder, Chia Seeds, and Golden Berries! This is a huge prize pack!! A big thank you going out to Navitas, and good luck to all of you entering! 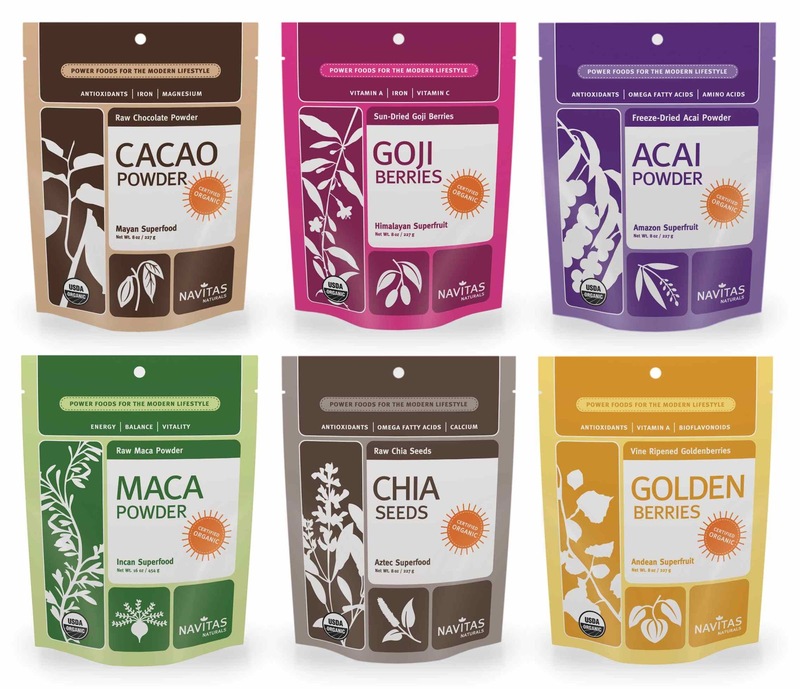 Enter to win the 6 Superfood Superpack from Navitas Naturals! This giveaway will last 24 hours, from midnight EST on Tuesday December 11th until 11:59pm EST the same day. Entering is easy! Simply follow the various options below in the Rafflecopter widget window. This Navitas Naturals brand giveaway is open to U.S.A. and Canada residents only. There will be one winner. The winner will be contacted and confirmed within 48 hours after the giveaway ends. All entries are verified via Rafflecopter. Hark, the harald angels sing!